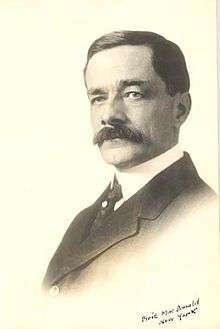 It is named after John J. Carty, an American electrical engineer who worked at AT&T. 2012 Michael I. Posner ( cognitive science), for outstanding contributions to the understanding of spatial attention and for pioneering investigations of the neural basis of cognition using non-invasive functional brain imaging methods. 2010 Andre Geim (physics), for his experimental realization and investigation of graphene, the two-dimensional form of carbon. 2009 Joseph Felsenstein (evolution), for revolutionizing population genetics, phylogenetic biology, and systematics by developing a sophisticated computational framework to deduce evolutionary relationships of genes and species from molecular data. 2008 Thomas Eisner (ecology), for pathbreaking studies of the myriad ways that organisms utilize chemistry to mediate ecological interactions and providing a foundation for the field of chemical ecology. 2007 Joseph R. Ecker (plant science), for contributions in the areas of ethylene signal transduction and Arabidopsis genomics that have paved the way for a revolution in modern agriculture. 2006 Russell F. Doolittle (computational science), for contributing seminal insights and methods for using computers as an aid to characterizing protein function, in comparing amino acid sequences, and for phylogenetic reconstructions. 2005 Robert J. Cava (materials), for his outstanding contributions in the synthesis and characterization of many new materials that display interesting and important superconducting, dielectric, magnetic, or thermal properties. 2004 Elinor Ostrom (social/political science), for her exceptional contributions to the study of social institutions, research that has greatly advanced our understanding of resource management, and the governance of local public economies. 2003 David A. Freedman (statistics), for his profound contributions to the theory and practice of statistics, including rigorous foundations for Bayesian influence and trenchant analysis of census adjustment. 2000 Donald Lynden-Bell (astronomy/astrophysics), for his outstanding work in theoretical astrophysics, and especially for the originality of his contributions to our understanding of the collective dynamic effects within stellar systems. 1997 Patrick V. Kirch (anthropology), for the unique breadth of his distinguished anthropological accomplishments, spanning many Pacific islands and joining their archeology with ethnobotany, ethnobiohistory, historical linguistics, and human biology. 1994 Marina Ratner (mathematics), for her striking proof of the Raghunathan conjectures. 1992 Joseph H. Taylor, Jr. (physics), for developing pulsar timing experiments with exquisite accuracy to make fundamental studies of gravitation, including gravitational radiation and high-order tests of general relativity. 1987 Motoo Kimura (evolutionary biology), "for demonstrating the role of stochastic processes in inducing and maintaining most allelic diveristy [sic] in nature, thereby unifying molecular biology with evolutionary theory, strengthening both fields". 1984 Robert H. Burris (agricultural sciences), for his penetrating studies of the biochemistry of nitrogen fixation have enriched the agricultural sciences by deed and example. ↑ "John J. Carty Award for the Advancement of Science". National Academy of Sciences. Retrieved 20 February 2015.